Why are we deviating from the real problem here (UpWork penalizing us for nonsense no-review) instead of helping each other out? "Why are we deviating from the real problem here (UpWork penalizing us for nonsense no-review) instead of helping each other out?" Because of the approach of Upwork and because of Gurus like Petra who always assume the freelancer is at fault and that the system is not mistreating them. She answers a huge portion of posts and always justifies the JSS system. When people are shouting from the rooftops that the system is problematic, they aren't looking for an explanation as to why the system is penalizing them. They are asking for the problems to be acknowleged and for reform to happen. But the responses never account for that. This forum was created by Upwork in part to allow people to blow off steam, apart from resolving technical issues. But it's clear Upwork doesn't care what freelancers say because its staff have been ignoring our resoundingly clear complaints about this system, doing nothing watsoever to mitigate the issues raised in favor of the concerns of freelancer over any months, over a year now. It's disgusting. Instead of s sympathetic ear, freelancers here get attacked as if they are poor performers with far more problematic ratings than their results indicate. CLEARLY non-reviews are costing JSS points for many and it needs to stop. Period, full stop. Bad feedback should count against you, non-feedback, no matter how much, should not count against you when we have no mechanism to force a client to leave a review and no non-review can ever be proven to indicate poor performance bya freelancer. This isn't that difficult. The JSS system makes it difficult. As somsone whose score has in the past been lower than his clients would recommend me score, I know what I am talking about despite the chaff thrown up in this forum. Leaving aside the issue of public vs private feedback--a whole other can of worms--just stop counting non-reviews and open contracts in JSS and in "clients who would recomment you" percentage. ONLY include clients who left feedback, period, full stop. This is reasonable. Also include clear, public definitions of what constitutes "success"in JSS and what counts against this score, period, full stop. It just bothers me that we attack each other instead of helping each other, that just helps UpWork not taking our claims seriously. What you consider a problem is roundly seen as a feature by many of the rest of us. You refuse to use UW as it's meant to be used, and instead want to rail against the model and scream for it to be overhauled to accommodate your particular requirements. Well, thousands and thousands and thousands of FLs who are doing quite well here would prefer that not happen. None of us are required to use UW as a condition of breathing or voting. UW is built for clients because they bring the money. Instead of s sympathetic ear, freelancers here get attacked as if they are poor performers with far more problematic ratings than their results indicate. Only if you choose to look at the ratings the way you wish they worked. They are designed as they are for specific reasons. You don't like it because you want to show up occasionally and do a few freelance gigs and not be accountable for client relationship maintenance. That's a legitimate busienss model for you but it doesn't fit well with UW, and the rest of us who have figured out how to thrive here don't understand why you feel entitled to demand that the whole thing be re-engineered for you. And, BTW, nobody here gets attacked for being a "poor performer". Surly responses to honest feedback get called out all the time. CLEARLY non-reviews are costing JSS points for many and it needs to stop. Period, full stop. Bad feedback should count against you, non-feedback, no matter how much, should not count against you when we have no mechanism to force a client to leave a review and no non-review can ever be proven to indicate poor performance bya freelancer. A pattern of non-feedback likely reflects poor client management, which in itself undermines a FL's success (and, therefore, UW's profits). That is why it counts against a FL's Job Success Score. Period, full stop. "None of us are required to use UW as a condition of breathing or voting. UW is built for clients because they bring the money." Sorry but without good freelancers there are no clients and no money for Upwork. We are equal sides in a balanced equation. It is upwork that doesn't realize this. And it sounds lie you've had the luxury of DEPENDING on a platform. Would that more of us would be so privileged! "You don't like it because you want to show up occasionally and do a few freelance gigs and not be accountable for client relationship maintenance." Holy assumptions, Batman! In case you haven't realized Phyllis, the vast majority of contracts posted here are on-offs or people looking for intermittent things. If you just happen to find a lot of clients with short-term needs and then don't need anything else from upwork, this has nothing to do with "client relationship" maintenance. Just like JSS, you ASSUME that that is what it indicates even when it does not. Again, your experience isn't the same as everyone's and if you're not using the platform frequently that in no way neesarily means that your clients are less happy or your work is of a lower quality. THAT is what JSS falsely indicates and why it is so problematic. It doesn't indicate job success, it favors certain types of users and usage and penalizes others in ways inrelated to job performence. "A pattern of non-feedback likely reflects poor client management, which in itself undermines a FL's success (and, therefore, UW's profits). That is why it counts against a FL's Job Success Score. Period, full stop." Yes and no. In this case and for Upwork in almost every case if not every case, emphatically no. Someone needs to take statistics and learn about the small N problem. The smaller the sample size, the less indicative any result is of anything. In order to have a high confidence that results are a strong indication of something, you need hundreds or even thousands of the example you'retalking about. So you'd need not hundreds or thousands of clients but hundreds or thousands of non-reviews. And even then, it is very problemtic assuming what a "no entry" would mean. If I have 80 contracts and 10 non-reviews, that is such a lower number statistically speaking that they should not have any assumptions whatsoever attached to them. Check out the concept the small N problem: https://garstats.wordpress.com/2018/06/01/smallncorr/ as well as variance and standard deviation. Bascially, you can't responsibly make the conclusions youre' making esepcially if you're, say, about 8 our of say 32. 80 out of 320 you could really start syaing something, and 800 of 3,200 the chance that the 800 is an aberration and not precisely reprsentative is exponentialy hight. In fact, when you have small sample sizes, you see that statistics often has you extrapolate larger models based on the smaller ones so you can make more accurate conclusions. When you have the smaller samples, for exaple, 8 out of 32, the 8 could very likely reprent a range of 2-14; for 80, the spread would be a lotsmaller, maybe 60-100 in terms of a possible measurement (these numbers are not presice, just proving a point). When the result is 800 out of 3200, the maybe the realistic range of what the data indicates could be maybe between 775-825, a far smaller range. The point is, NO, a "pattern" of non-reviews on the scale nearly every freelancer is dealing with cannot be responsible said to indicate anyhing: this is math and science. You are irresponsibel for suggesting as much, and JSS is wrong to do the same. Adding to the fact that we are not even specifically dealin with data points, which I was using in examples, but are dealing with NON-data, and it's even more shameful. In any respectable statistical report, the non-answers would be noted, and would not be included in weighing results. Which is EXACTLY wha JSS should do. Somtiems, there is a specualtive discussion of why there might have been non-answers, and in some experiemtns data is even collected on why there are non-answers. But in terms of the original research question (in this case: is a job "successful" or well done), the non-answers CANNOT BE COUNTED one way or another in term of answering the research question in a basic sense: ONLY the actual answered samples can count. This is BASIC acadmeic and research ethics. JSS should at least embrace those! "Sorry but without good freelancers there are no clients and no money for Upwork. We are equal sides in a balanced equation...."
Yes, a critical mass of good FLs is necessary for the whole thing to work. But UW is absolutely glutted with FLs these days, so it's not remotely a balanced equation. I'd bet if a randomly selected sample representing 50% of currently registered FLs were to close their accounts, most if not all fields would remain pretty competitive. UW needs us collectively but individually we are 100% expendable. I know that offends you but it's true, nonetheless, and nothing about it is inconsistent with what UW claims to be and do. "And it sounds lie you've had the luxury of DEPENDING on a platform. Would that more of us would be so privileged!..." I assume you meant I have the luxury of not depending on the platform. It's true that my entire practice is not on UW. But I support myself solely on what I earn as a freelancer and have done for more than 20 years, and what I earn through UW is an important chunk of my living, which is why I've made it my business to understand how it works and how to make it work for me. "the vast majority of contracts posted here are on-offs or people looking for intermittent things. If you just happen to find a lot of clients with short-term needs and then don't need anything else from upwork, this has nothing to do with "client relationship" maintenance. ..."
The notion of a client relationship is relevant whether you spend a couple of hours or a couple of days or weeks on a project. It may be a short-lived relationship, true, but a mutually happy outcome still depends on successfully relating with one another so the work gets done to a high standard. Besides, we can never tell when that quick, one-off project will lead to more work down the road, from that client or via a referral. 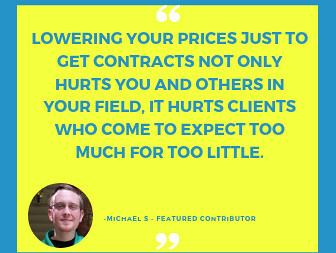 "if you're not using the platform frequently that in no way neesarily means that your clients are less happy or your work is of a lower quality. THAT is what JSS falsely indicates and why it is so problematic. It doesn't indicate job success, it favors certain types of users and usage and penalizes others in ways inrelated to job performence. ..."
Yes, the JSS favors certain types of users because those are the ones UW sees as most profitable: FLs who land projects, perform the work to a high standard and keep clients happy and coming back. FLs who drop in occasionally (which is more or less how you have characterized your own use of the platform, on another thread somewhere) may be delivering quality work but they are earning less, so UW is earning less. Why wouldn't UW discourage that? "Someone needs to take statistics and learn about the small N problem. ..."
I find your entire lecture about sampling hilarious, given that you've been arguing for weeks that the FLs who come to the forum and complain that the JSS needs overhauling should be considered a representative sample of the FL population on UW--which is utter nonsense. (It may have escaped your notice that one of my professional hats is survey research consultant. Statistical sampling is my jam.) In any case, your statistics discussion is moot because JSS is not billed as a strictly arithmetical computation. Many of us who've been watching JSSs for some time, suspect that different factors may be weighted differently given various conditions. We don't know what proportion of no-feedback contracts represents "a pattern of excessive ones" because, perhaps, it depends on other things. There's reason to suspect high-dollar contracts weigh more than low-dollar ones but we don't know for sure. The lack of transparency can be maddening but it's how UW chooses to operate. And it's not impossible to manage, as evidenced by the huge numbers of people who manage to earn money here every day. "You refuse to use UW as it's meant to be used, and instead want to rail against the model and scream for it to be overhauled to accommodate your particular requirements. Well, thousands and thousands and thousands of FLs who are doing quite well here would prefer that not happen." Where are those thousands that would prefer that not to happen? What he is saying here is not for his particular requirements, this is something that I could say THOUSANDS AND THOUSANDS have complained about and have left the platform because of UpWork's model. It's not a secret that UpWork has a bad reputation among freelancers for the type of clients that it attracts. If you have long time here (as myself) you have built a reputation and can somehow play with the system, but in general, everyone could be doing much better if the system worked with us and not just for the clients. Probably you should read the TOS and user agreement. 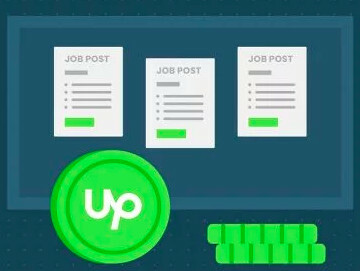 Both you and the clients agreed not to work with clients/freelancers you connected with through Upwork for a period of at least two years following your first contact. The only way around that is for the client to pay a $2,500 buyout fee. That's contractual, too, so if you are able to mislead your clients into believing that it's okay to go off platform and it's been less than two years, you'll be opening them up to legal liability for that $2,500 buyout fee, in addition to suspension or deletion of their Upwork accounts. 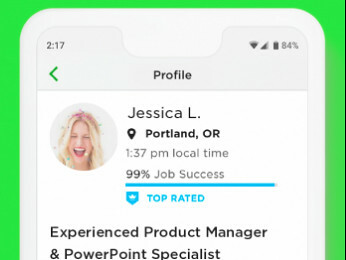 Upwork's position is that a *pattern* of jobs with no feedback indicates poor client and contract management, and as a client I tend to agree. This is why JSS is negatively impacted if a freelancer has a *pattern* of jobs with no feedback. As Petra said, it's unlikely that your no feedback jobs are affecting your JSS. There is more to being a successful freelancer on Upwork than just winning a job and delivering the finished product. Client and contract management is an important skill for all freelancers. It starts before you even bid on a job (does the client have a great history of feedback, both given and received) and doesn't end after you have delivered the finished product.